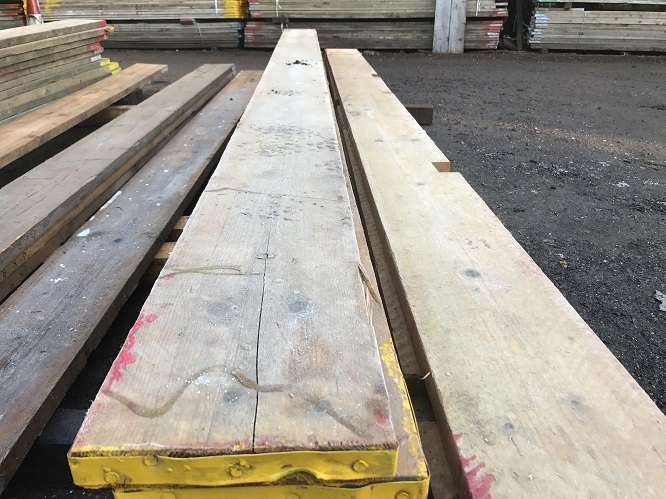 Used scaffold boards for sale in large quantities. 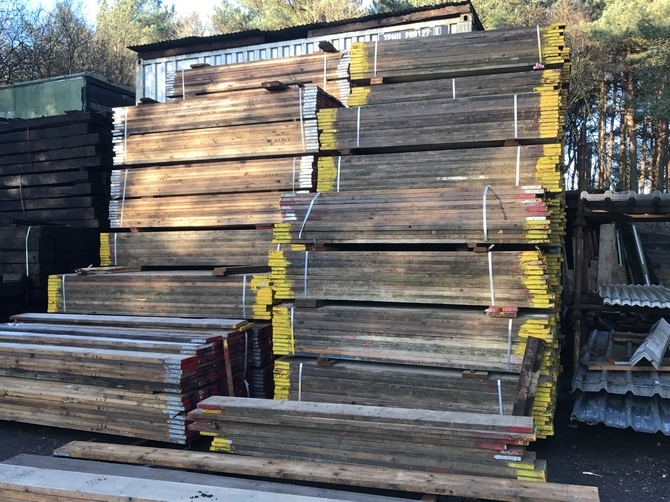 At Ace Reclamation, we always carry a large stock of scaffolding boards, being great value for money they don't hang around long! We have supplied thousands of boards nationwide and europe. 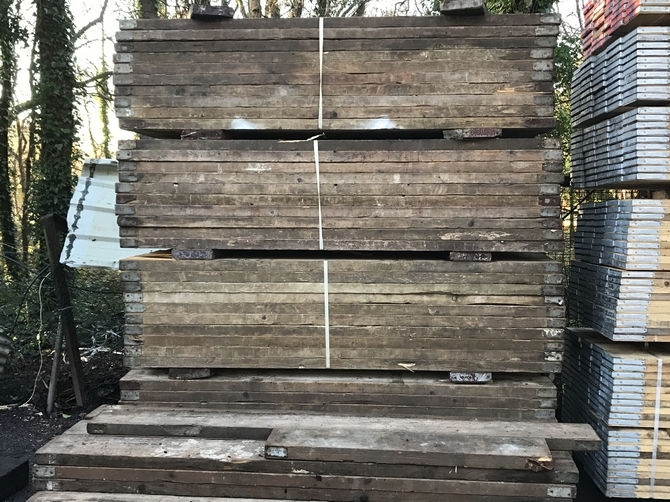 As well as their original intended use as Scaffold Boards, these boards are also great for any garden projects. Used for everything from raised beds, decking and retaining walls to vegetable patches. 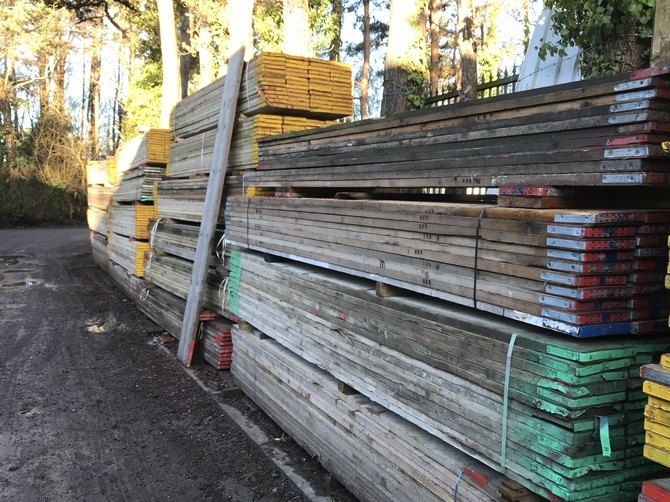 We sell alot of reclaimed scaffold boards for furniture making. They are great for dinning tables, kitchen worktops, bookshelves, shelves, coffee tables, head boards and rustic furniture. They have also been sold for feature walls, and flooring, they have hundreds of uses, whatever your project. The versatility of scaffold boards are endless. Your creativity can build something sensational. Please check out our gallery page to see what some of our customers have done.